Doodlecraft: Pun Week! 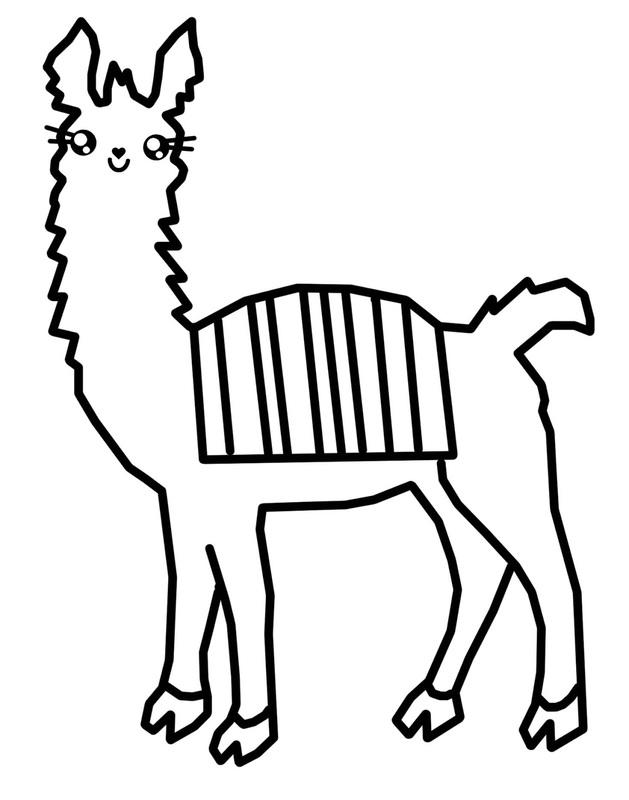 Alpaca Bag Llama Tote! Pun Week! Alpaca Bag Llama Tote! This is the finale of my fun week of Puns! I knew I wanted to make this for my daughter for Christmas. She wanted "puns" for Christmas, so I delivered. But finding an adorable llama cartoon image was nigh on impossible! So, I made one myself. I made it simple and cute with a darling kawaii face! Those giant eyes with lashes! You will need a tote bag. I get all of mine from Oriental Trading. The totes are not the best quality on their own. But for an upgrade, they are ideal! You'll want to cut off the handles. Reverse your image and cut it out on an electronic cutter. I use a Silhouette Cameo. I used flocked heat transfer material in royal blue. Then weed the excess and place on the tote. Cover with a tea towel and iron for a couple minutes. Pull back the plastic and make sure it peels away from the vinyl. I pulled too fast and made an error!!!! NO worries, I can fix any mistake. I used bright colored paint like colorful Peruvian Alpaca blankets and throws. Just paint the stripes and add lines. Cute and simple. The flocked vinyl is perfect for painting in the lines. to the "rug" and to cover the torn stripe. Next, lining the bag with fabric. It's so much better to strengthen the bag. Cut the fabric about 1/2 larger than the bag on the sides...and about 4 inches taller than the tote. Sew the edges of the fabric and then stuff it inside the tote. Fold over the top edge and fold it under itself once to tuck in the fraying edges. Like this...then sew this edge. I always use old Karate belts for my bag straps. the belts because they are so useful. Sew the straps on the bag and ta-da! You are done! It's gorgeous and adorable and bright and fun!!! Perfect for any pun loving person! You are welcome to use it for personal use only. Please like, share, follow and pin as a way to say thanks! Hope you enjoyed the fun week of puns! Check these ones out in case you missed one! Cute bag, thanks for the image.